The following post was facilitated by a sponsorship with Ethos Insurance. All opinions and reviews are my own. 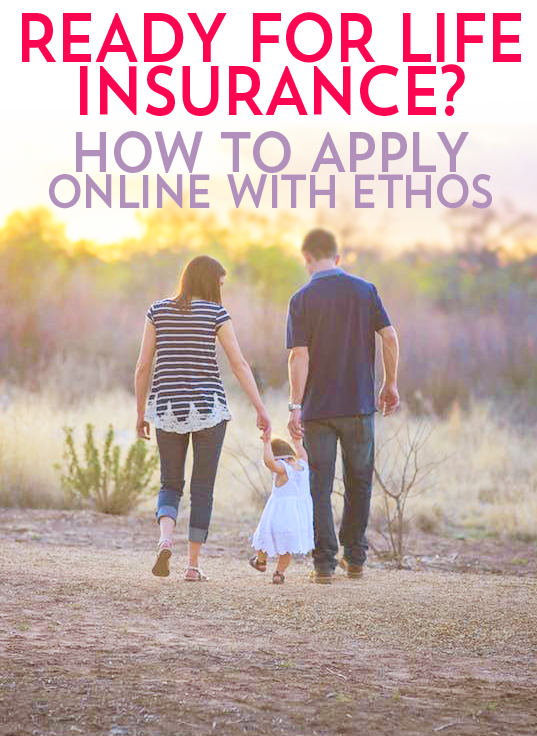 I was recently introduced to Ethos Life Insurance and wanted to share it with my readers who are entering the same life stage as me and want to ensure their family is protected, but isn’t sure how to get started. As I’ve gotten older, I’ve become more and more aware of the steps I need to take in order to prepare for my future. Yet, knowing so little about insurance (and also, being super overwhelmed by the process), I wasn’t exactly sure where to begin. Luckily for those of us whose eyes glaze over with stacks of paperwork Ethos Life Insurance is 100% free and can be used by anyone online with a relatively straight forward process to see if you qualify. With no risk to get started, it was awesome having an option that was accessible and simple for the modern customer. 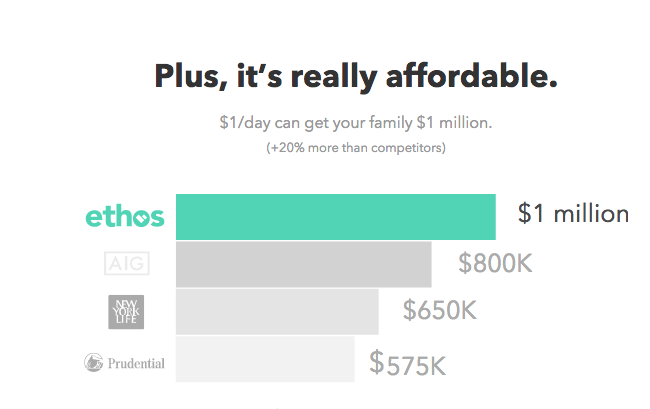 Ethos also focuses solely on life insurance so I didn’t get overwhelmed with unnecessary choices and added expenses. So what is life insurance and why would you need it? Life insurance is a good fit for anyone who wants to ensure their family has some sort of safety net if they were to die unexpectedly- not super fun to think about, but now that I own my home with two fur kids and a fella I care about, these precious things are worth protecting. Even previous to the home, life insurance has helped me ensure that if I were to pass, my father and family aren’t shouldering at least the financial burden that can come with someone’s death. For me, it’s been a way to ensure that they’re covered financially if I were to pass away. Nobody plans on that, but obviously, it happens! Term life insurance is an option that covers you for a certain amount of time. 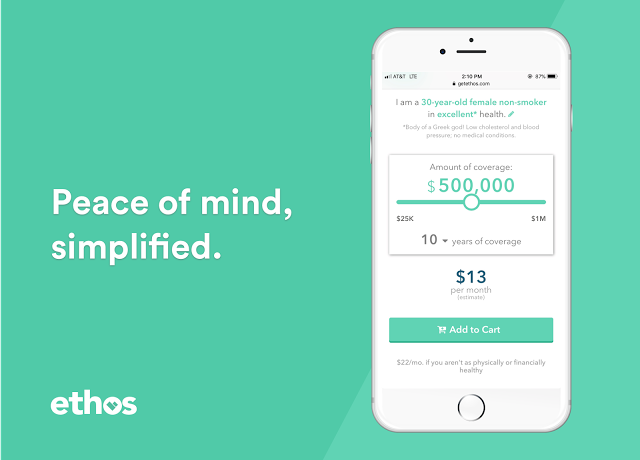 In particular, Ethos has coverage options ranging from 10 year all the way to 30 year terms. You simply make a monthly payment to keep the policy in effect. Now the big question, what happens if you pass while the policy is active? A pre-set cash payment is paid to whomever you’ve labeled as your beneficiary. At the end of the term, the policy expires and is no longer effective. Although these are challenging conversations to have with loved ones, it’s comforting knowing that Ethos Life Insurance offers options that are the most affordable and simplest to use. When I’ve tried to apply for life insurance previously, it ended up being numerous back and forth emails with agents that did the bare minimum to reassure my decision. In addition to mandatory medical exams and blood and urine tests, I was quickly in over my head and not sure where to turn. On top of a process that can take over 10 weeks while communicating with commissioned salespeople, I didn’t always feel as though they had my best interest in mind. Just because they pushed a more expensive coverage didn’t mean it was the right fit for my family. After searching for alternatives that would make the process easier in the digital age, I stumbled upon Ethos. Buying life insurance online allowed me to be in total control. It only took me ten minutes! Plus, medical exams were only required for 1% of people and healthy people are approved instantly. It didn’t matter if I made $25k or $10 million, I could get coverage. The best part was they didn’t try to upsell me something I didn’t need, they actually took into account my individual circumstances. With the benefits of a modern consumer experience and security of a major life insurance company, I can be confident in the choice I’m making not just for me, but for my loved ones. As little as $1 a day could buy my family $1m of coverage for 20 years. Although signing up was easy and I had few questions along the way, it was comforting to have 24 hour support available via phone or email for any questions that might arise. Even further, Ethos has also partnered with Assurity, an “Excellent” rated life insurance company with 130 years of experience! Have you thought about life insurance for your family? Or do you believe it is just something to have once you get to that ‘ambiguous’ later years of life? The need for life insurance depends on what stage of life you’re in. 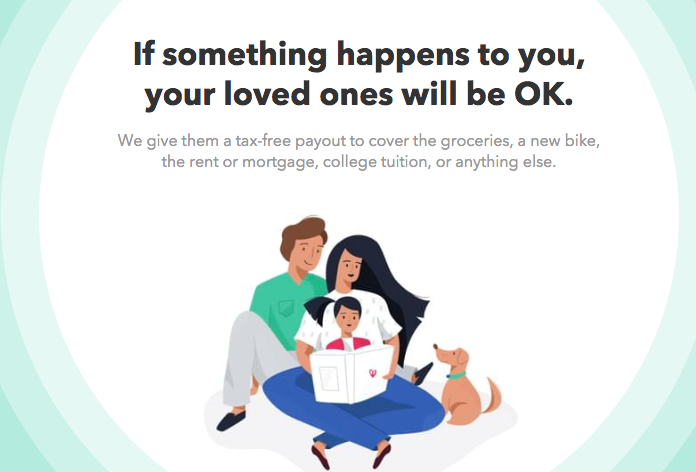 It’s in your best interest to get covered if you have someone you want to protect financially in the event you pass away, such as a spouse or children- or in my case, an older parent who I would worry about if I died unexpectedly. For households with children and one income, it’s essential to secure a life insurance policy that will financially provide for the future as soon as possible. If you have young children and are living off of a single income, Ethos life insurance will help keep finances intact in the event of an untimely death. For households with children and two incomes, the financial hardship of losing a parent can be significantly alleviated with life insurance. When both parents have life insurance, the coverage can replace their income for several years, which includes but is not limited to paying off a mortgage, taking care of outstanding debts, and providing for the kids’ future educational needs. If you don’t have kids (like me) and both partners contribute equally to the household’s finances, it’s possible to wait until you buy a home of have kids together. However, even without kids, life insurance is vital if you want to alleviate financial hardship if one partner should pass away. Given how simple the process is, we had no reason not to protect ourselves, are our future, with Ethos. Don’t wait until it’s too late, it will help you adult like a pro without the hassle.